We are committed to a new model of sustainable astronomy and one that respects the unique environment of Maunakea. 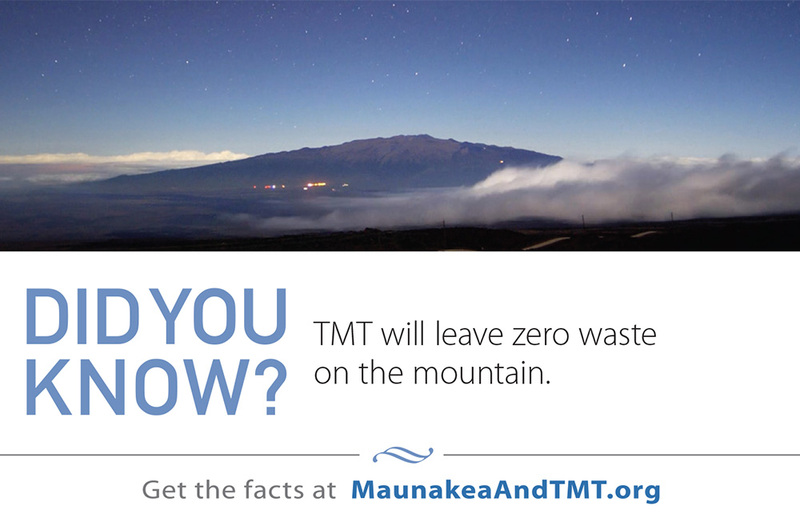 With a new design that leaves zero waste on the mountain and a strategic approach to minimize any potential environmental impact, TMT will be the most environmentally sensitive telescope ever built on Maunakea. 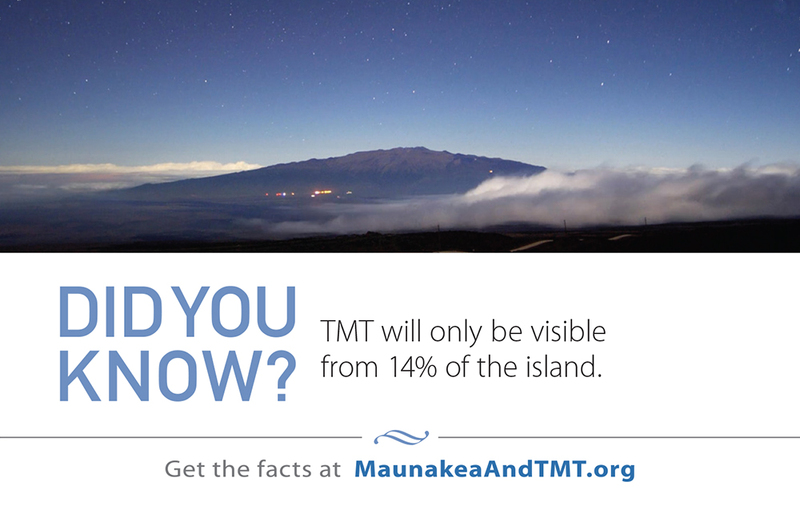 Visible from just 14% of the island, the TMT site was selected because it poses no risk to rare or endangered plants, insects or animals. And in a first for any telescope on the mountain, TMT is paying a $1 million per year in lease rent, $800,000 of which goes directly to the support and stewardship of Maunakea. Measures are being put into place, in accordance with the Final Environmental Impact Statement, to ensure efforts to minimize any potential negative aspects of the project. These measures are not just in place to protect the environment, or the land or the wildlife. 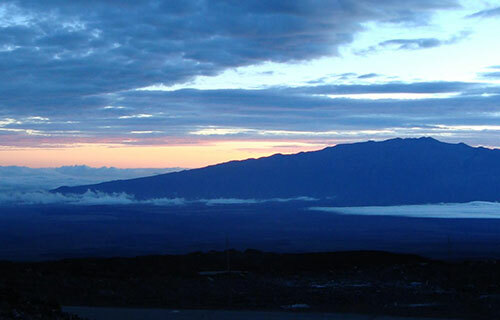 They are also in place to preserve the history of Maunakea and protect the cultural practices and resources of the area. 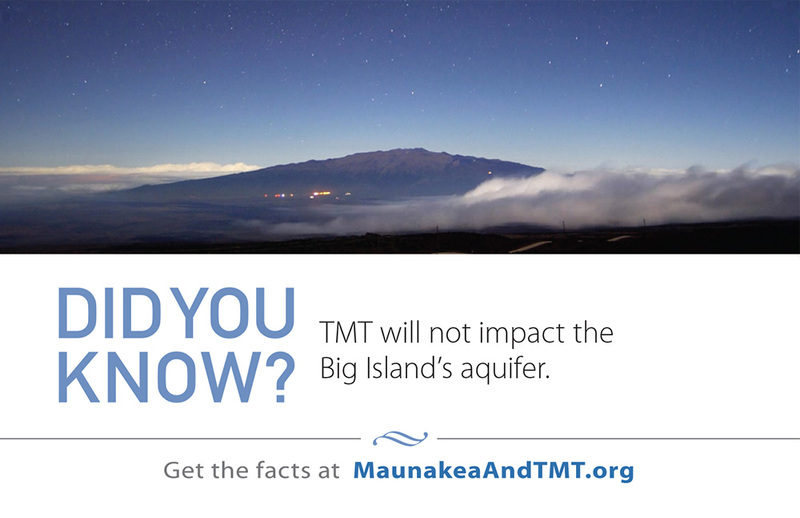 TMT will follow a Comprehensive Management Plan to protect and conserve Maunakea’s cultural and natural resources. 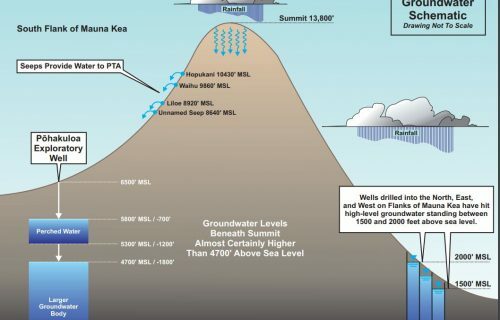 Although groundwater is the primary source of drinking water in Hawaii, there are no wells extracting groundwater near the summit of Maunakea. 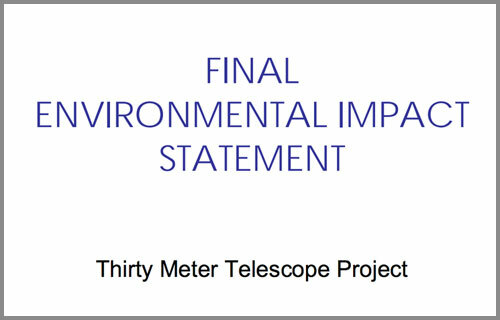 An extensive environmental impact statement was prepared that involved a large number of careful studies of environmental and cultural sensitivities specifically for the TMT project.